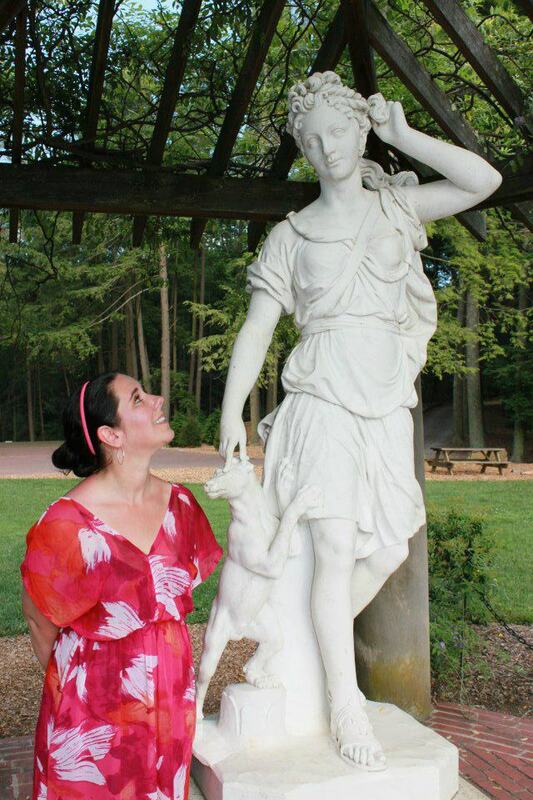 “Demeter was resolved to win her daughter, Persephone, back [from Hades]. Not so fate permitted, for the girl had broken her fast and wandering, childlike, through the orchard trees from a low branch had picked a pomegranate and peeled the yellow rind and found the seeds and nibbled seven. The weather in Upper Michigan is confused. On Friday as I drove to work I had to use my windshield wipers because it was raining. One of my 9th grade students remarked that perhaps Persephone and Hades were having a disagreement and Persephone was threatening to go back home and live with her mother. I had to laugh at this creative explanation for our sudden false spring. Even though my students roll their eyes and let out huge sighs of despair when we begin our mythology unit, I think secretly they are as geeked about myth as I am. After all, the stories we read in class are timeless, entertaining, and help us understand ourselves more fully. On Monday when I asked for a definition of the word odyssey, various terms bounced around the room. Quest. Journey. Challenge. Adventure. We discussed Odysseus and the various setbacks, monsters, and heartaches he would encounter on the way home from the Trojan War. While my students compared their first year of high school to the challenges that Odysseus’ faced, I could not help thinking of my own struggle with weight management. As I continue to pursue my health goals, a chocolate bar starts to look like Polyphemus, a bag of tortilla chips (the perfect partner to my homemade guacamole) resembles Charybdis, and a goblet of red wine wields the enchanting magic of Circe. As I write the word, hubris, on the board we discuss how Athena serves as Odysseus’ guide because she holds that she is the only mortal that uses both his brawn and his brain. Though, even brave and cunning Odysseus has flaws. His hubris, or inflated self-confidence and pride, often gets him into trouble. I sometimes use the term hubris in my Weight Watchers meetings when I discuss with my members how easy it is to let food tracking slip. This often happens to me in the summer when I am earning a lot of Activity Points Plus for exercise and have more time to cook elaborate meals. A valuable lesson that I have learned over the past few years is that exercise is essential to weight loss and maintenance, but it cannot be a substitute for healthy eating, portion control, or my food journal. I must be careful not to overestimate how much I exercise and underestimate how much I eat. 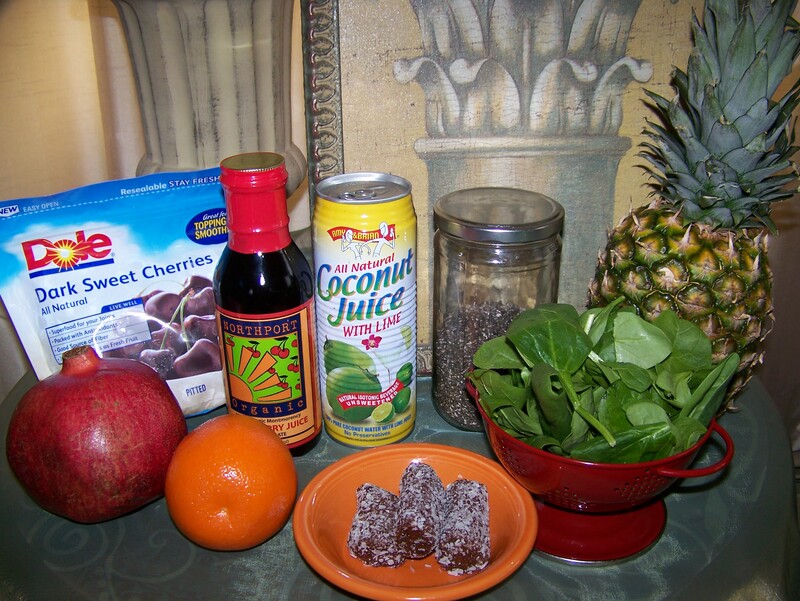 It is day #13 of my January Green Smoothie Challenge and I have noticed many positive results already. 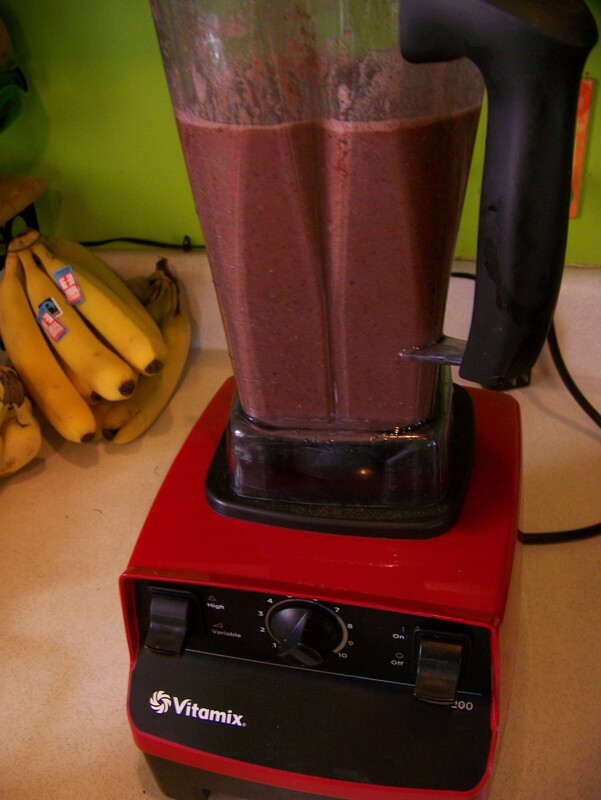 Not only is beginning my morning with a whirring blender a fantastic way to start my day off on the right foot, but I have also noticed that my cravings for starchy carbohydrates and rich comfort foods has diminished. I make sure that I blend enough of the green smoothie for breakfast along with some leftover to pack in my lunch bag for a quick snack at the end of the work day. I have a half hour commute home and the smoothie guarantees that I am not famished when I get home so I can work out before dinner. Last week when I posted a recipe for my Sunday Energizer Green Smoothie, I was thrilled that my friend Kara tried and loved the drink. Read all about her experience at Running From Perfect. Kara, is a great source of information and inspiration for me because I don’t think she ever slows down. I hope to channel her motivation by following her posts. During the school year the biggest obstacle in my weight management journey is trying to squeeze time out of a demanding schedule and muster up the energy to work out. There are many days when I come home completely exhausted and all that I want to do is take a hot bath and change into my pajamas. It takes serious fortitude to instead put on workout clothes and get moving. As I have learned, during the school year I will never FIND time to work out, I must MAKE the time. This time is a precious gift that I not only give to myself, but to my loved ones, and also to my students. Ultimately, I know that when I exercise I have more energy and stamina, stay healthy through the cold and flu season, and do not become bitter about the demands of my career. My husband Mike appreciates this time that I give myself to exercise because it makes me have a much more positive outlook on myself and life in general. On Friday in class my students read about Odysseus’ perilous encounter with the Cyclops, Polyphemus, and how he tricks Polyphemus into getting drunk by offering him wine. Odysseus tells the giant that the wine is nectar and ambrosia. My students wanted to know more about ambrosia and we tried to imagine what it would taste like. I shared with them my memories of picnics and pot-lucks I had attended as a child in the 70s that featured the popular ambrosia fruit salad. In case you are not familiar with this classic salad, here is Alton Brown’s version of ambrosia from food network. I am excited to share my latest smoothie creation that puts a twist on ambrosia fruit salad by replacing the mini marshmallows with pomegranate and leaving out the fattening dressing. 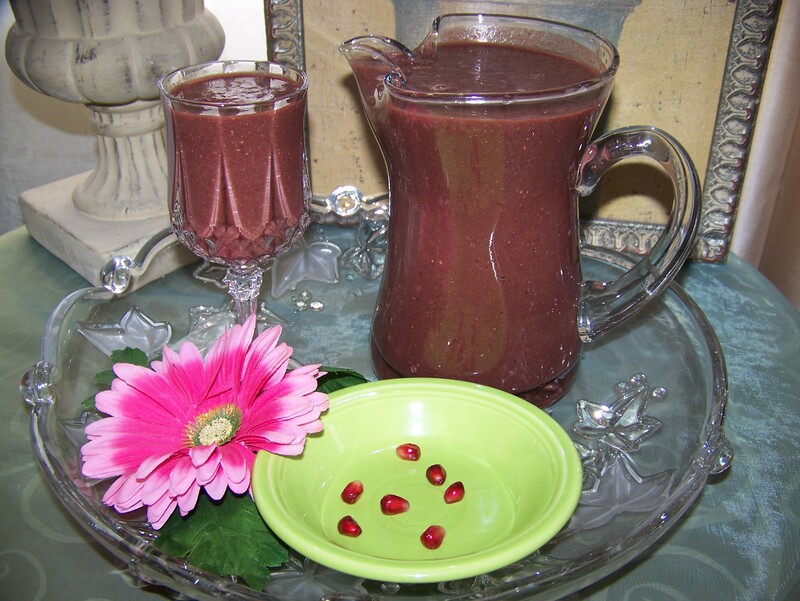 It may be a time intensive smoothie, since a pomegranate does not part easily with its fruit, but one sip and you will find your labors well worth the effort. 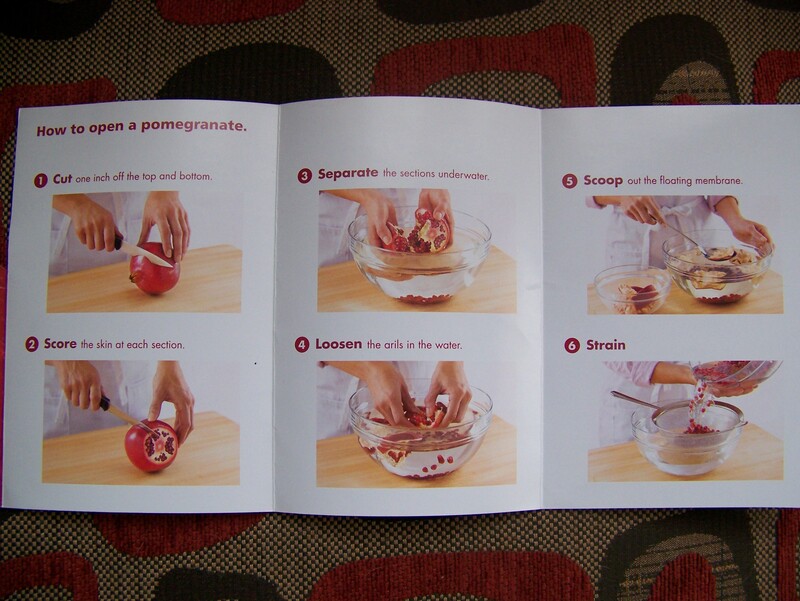 I picked up this pamphlet in the supermarket to help peel a pomegranate with ease. It really worked well! 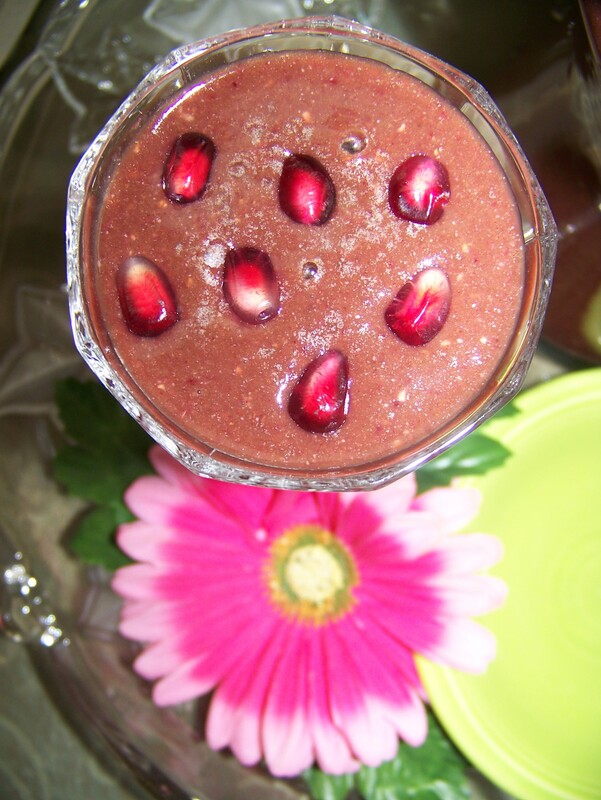 Do not forget to reserve seven pomegranate seeds to garnish your antioxidant packed smoothie. 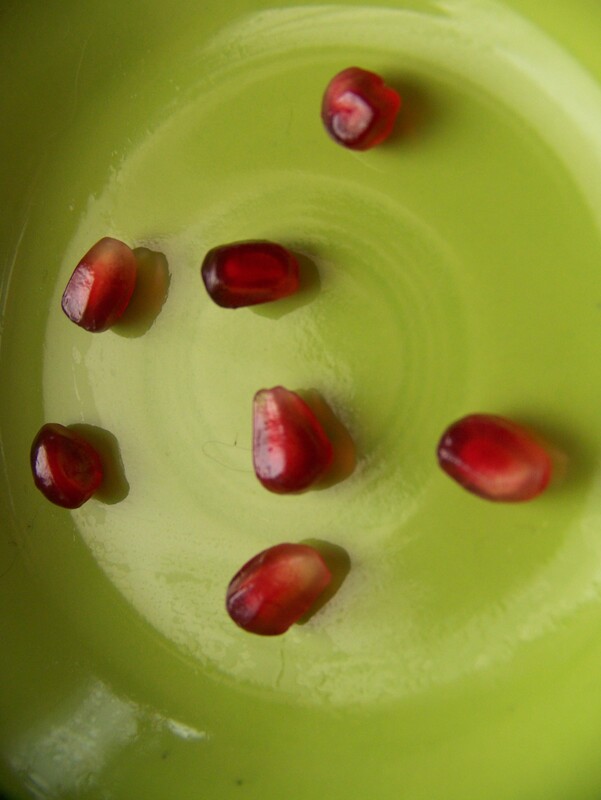 After all, the myth of Persephone and these ruby jewels help give the smoothie its name. One sip and you will have visions of Persephone picking flowers in a sun drenched spring meadow. 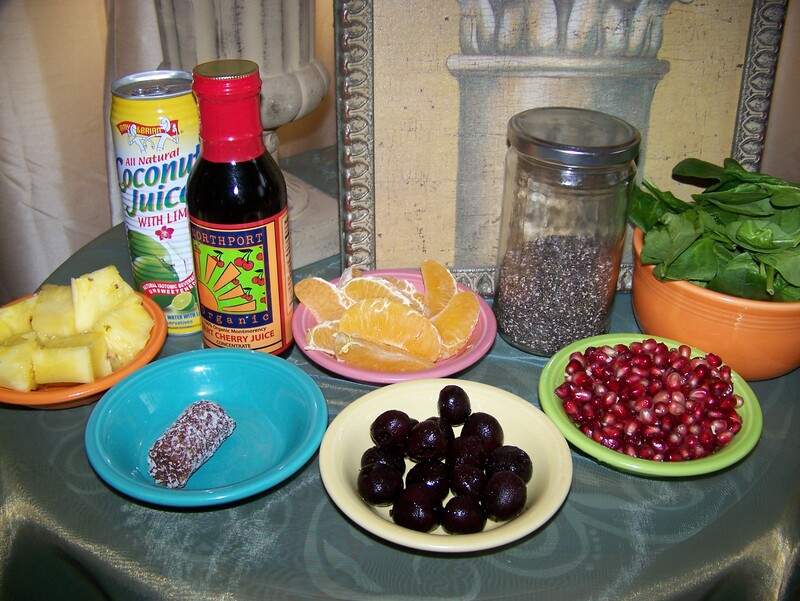 I look forward to making this smoothie again and think it is a refreshing tonic for dreary January days. Pecans (optional). 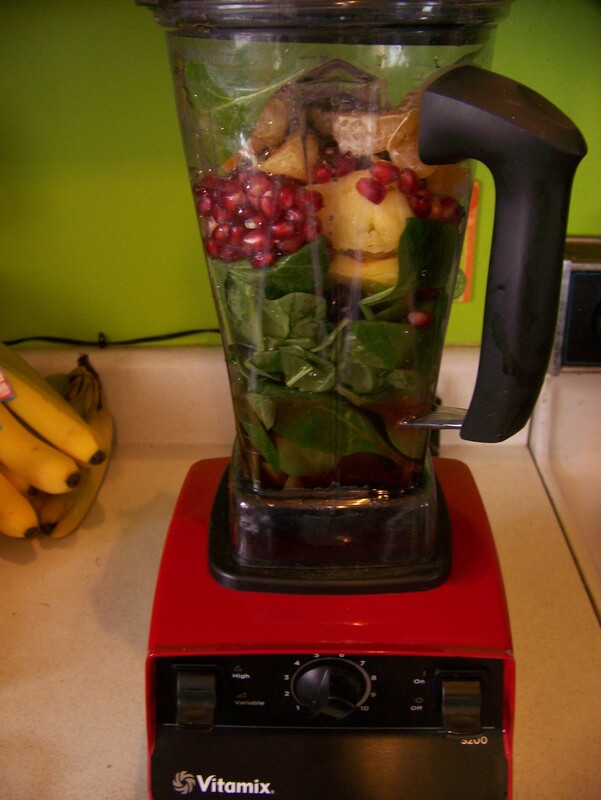 My friend Heather said her daughter loves to add nuts to her green smoothies. Since Pecans are in the traditional ambrosia salad recipe they would add some authentic flair. Nuts would make a great garnish or could be blended in with the other ingredients and would be an additional protein source.This recipe rendered 5 cups. I always make enough for both Mike and I. Next time I will use even more spinach/greens. This batch made enough for two smoothies but I will want extra to bring to work. I think the Vitamix was one of the best investments we have ever made. 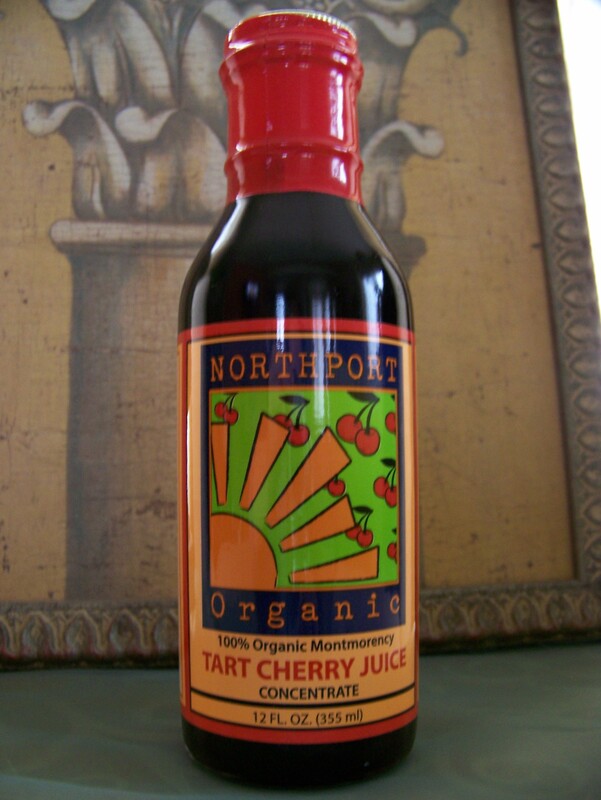 Tart cherry juice is expensive but it comes with many health benefits and a little goes a long way. I highly recommend it for this smoothie. A few years ago one of my Weight Watchers members recommended Medjool dates to me for a sweet treat. I love to buy them at the Marquette Food Co-op. 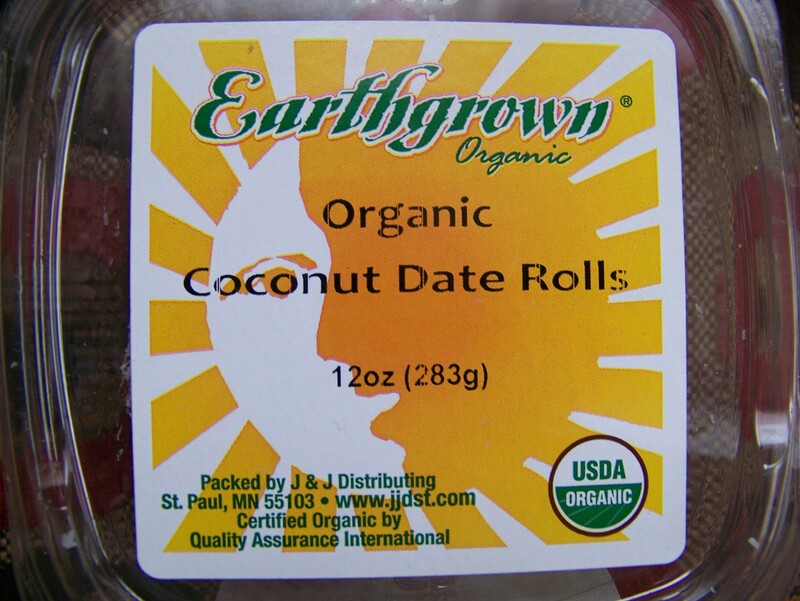 I also discovered chopped dates rolled in coconut. They are a great plant, based way to satisfy a sweet tooth. Our little Photo Bomber, Athena, strikes again! 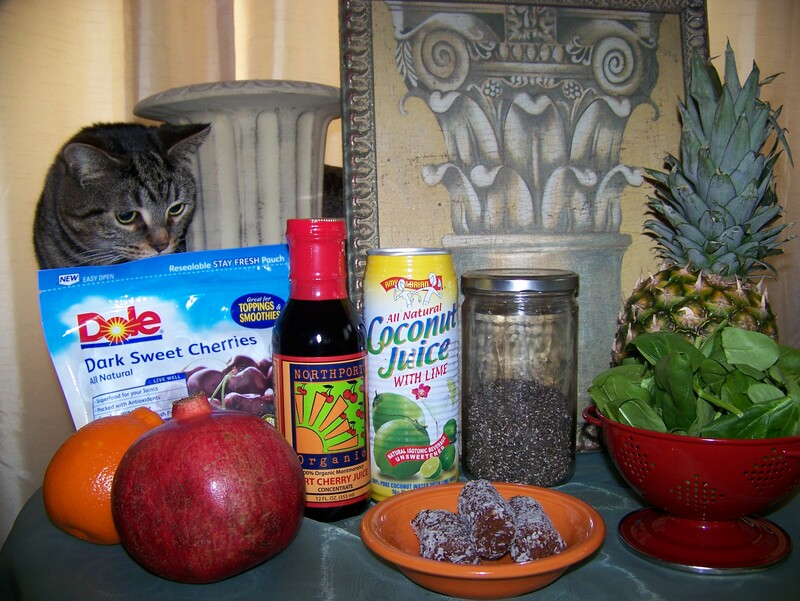 This entry was posted in Uncategorized and tagged Ambrosia, Biltmore Estate, dates, eTools, Greek Mythology, Green Smoothies, Persephone, Pomegranate, Running From Perfect, tart cherry juice, The Odyssey, Vitamix, Weight Watchers by Amy. Bookmark the permalink.